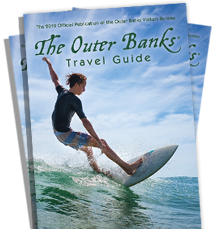 The Outer Banks of North Carolina is full of locally owned shops, boutiques and specialty outlets. You won&apos;t find our towns stuffed with commercial businesses. Instead, you will discover homey charm in any privately owned shop you visit. Treat yourself to a nice vacation shopping spree and find memorabilia that will preserve your vacation for a lifetime. Don&apos;t forget to bring your reusable shopping bags...you are sure to find unique items while shopping on these beautiful barrier islands.